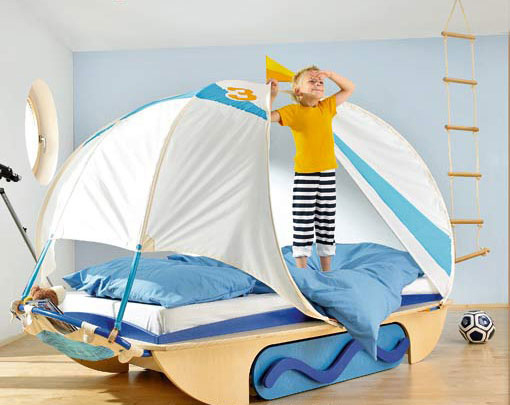 Kids adore fairy-tales, different stories about pirates and cowboys and surely cartoons. 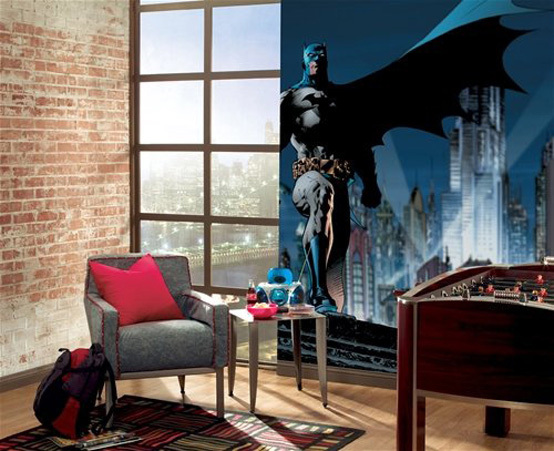 They often imagine themselves heroes of them. 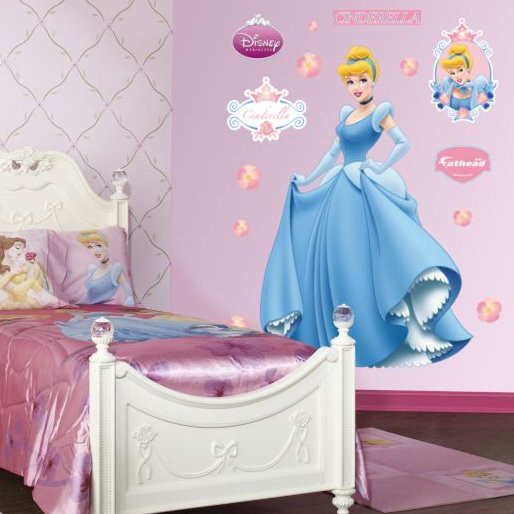 Girls play dolls and dream to be a princess or famous ballerina, boys collect comics about super-heroes and want to be as cool as them. 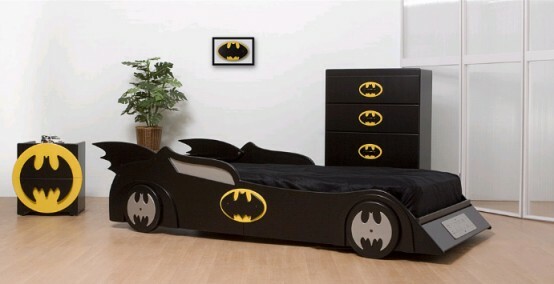 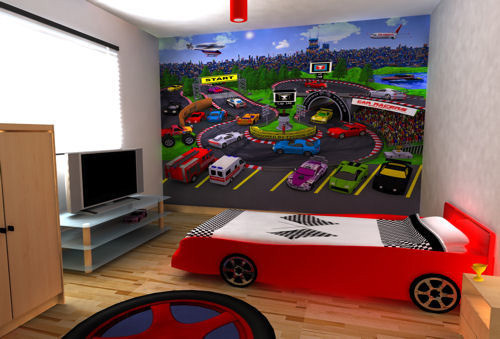 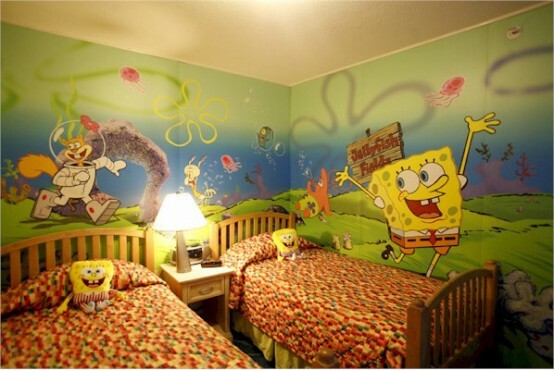 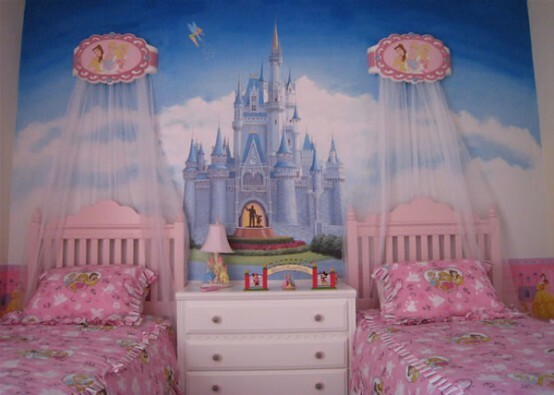 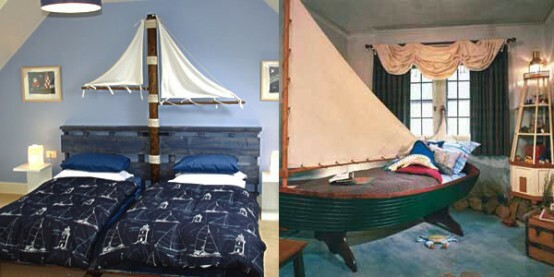 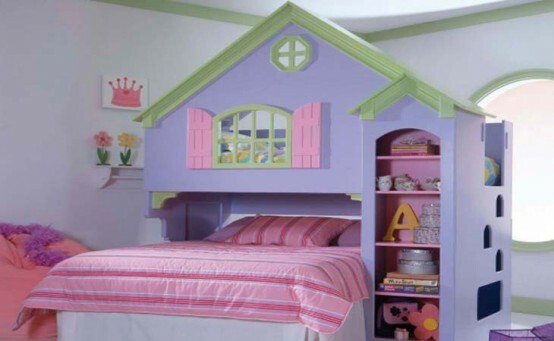 You could make your child very happy by creating a bedroom which take ideas from his or her favorite character. 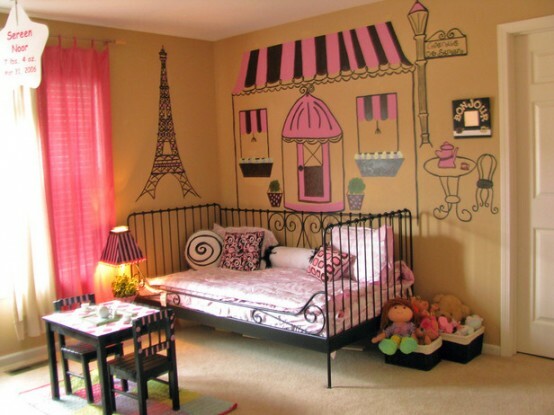 Nowadays it is not very difficult and usually only depends on your imagination. 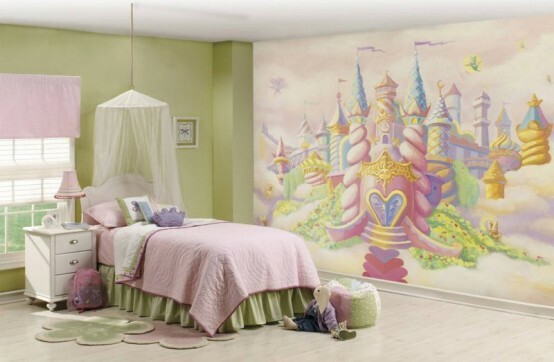 There are available a lot of different themed furniture and accessories in the shops. 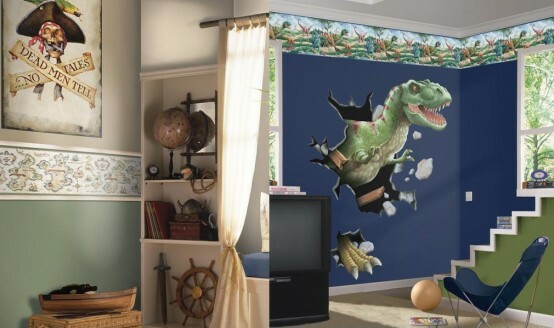 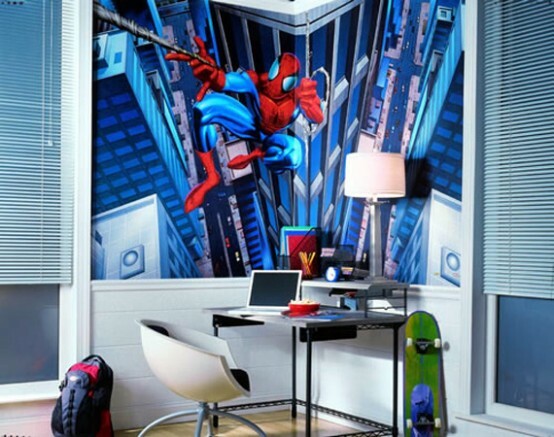 One of cool and easy solutions to create a right atmosphere are various wall stickers, which also have great advantage – they are not very expensive. 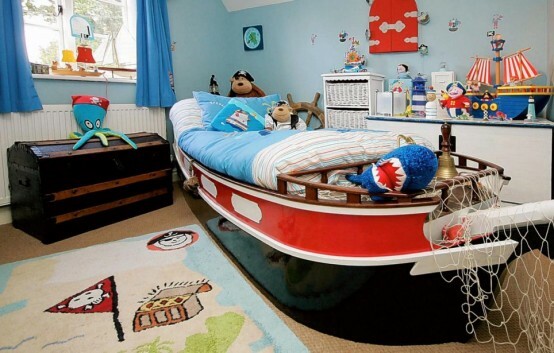 Although you could be more creative and try to find some unusual bed which will add more originality to you kids bedroom design. 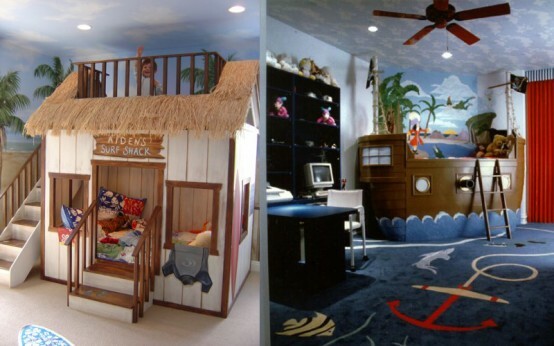 Below on photos you could find many interesting ideas and probably choose something what might be liked by your child.